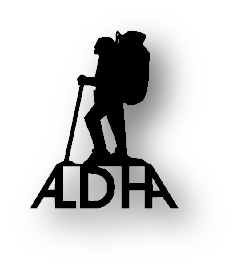 Your dues go a long way in promoting trail programs and camaraderie within the Appalachian Trail community, such the Trail Days Hiker Feed, Work Trips, ALDHA Care, SAR, the Kennebec ferry and the annual Gathering. Membership in the Appalachian Long Distance Hikers Association includes the Thru-Hikers' Companion in PDF, a quarterly Newsletter, and the annual Membership Directory. Online payments with any major debit or credit card through Paypal. You do not need a Paypal account unless you choose the one-year recurring payment option. If you prefer to join using a check, or money order: print and mail the PDF registration form.